Rainy Autumn Day in Red – Understated Italian Style. 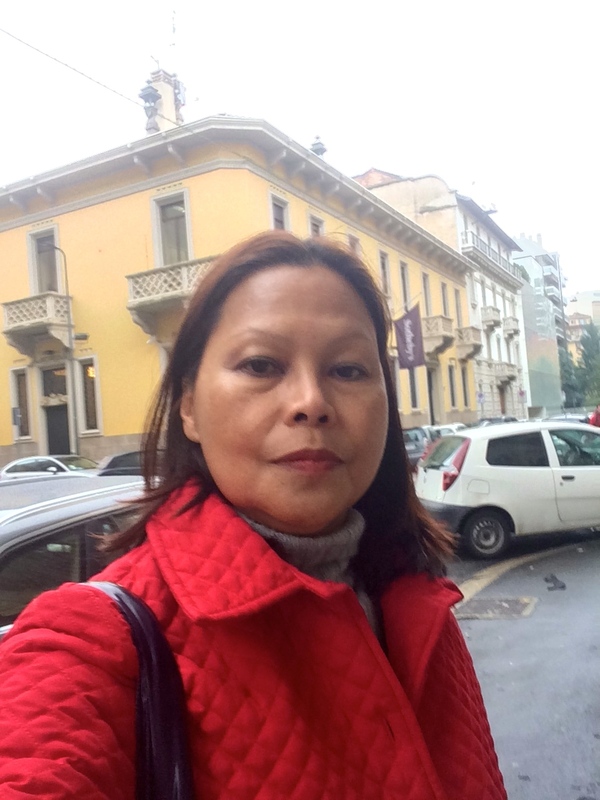 "Tips when In Milan so as not to feel a sore thumb among them. They have quiet admiration for those who "got it" as their understated rule's codes on how to dress. Conformity is key. Other cultures the more uniquely put together one is, the better. Not the case in Italy, especially in Milan. Admittedly, today it is not as much applied as in the past. But, understanding the Italian approach to fashion is equal to embracing the world's most elegant and cultivated form of self-presentation. Who wouldn't want to master that?" Just as I was about to write here on my early morning out to the Bank today, my friend called to say that I should write a blog. She just saw my post and pictures on my FB on my outing on the streets in this grey and wet weather of Milan that went surprisingly pleasant. It wasn’t cold, just little intermittent showers with the sound of clinking cups and saucers coming vigorously from the Bars I passed that are now not much apart from one another. Every 20 meters I dare say, there’s a bar in every area of Milan. Bar in Italy means a place for beverages in general especially espressos, cappuccinos etc. Also light fast lunches, brioches and cakes, antipasti and cocktails. A new bar just opened ten days ago. I like the location and the interior of it. Also the service. It is not far from my Bank and on one of the roads back to my place. 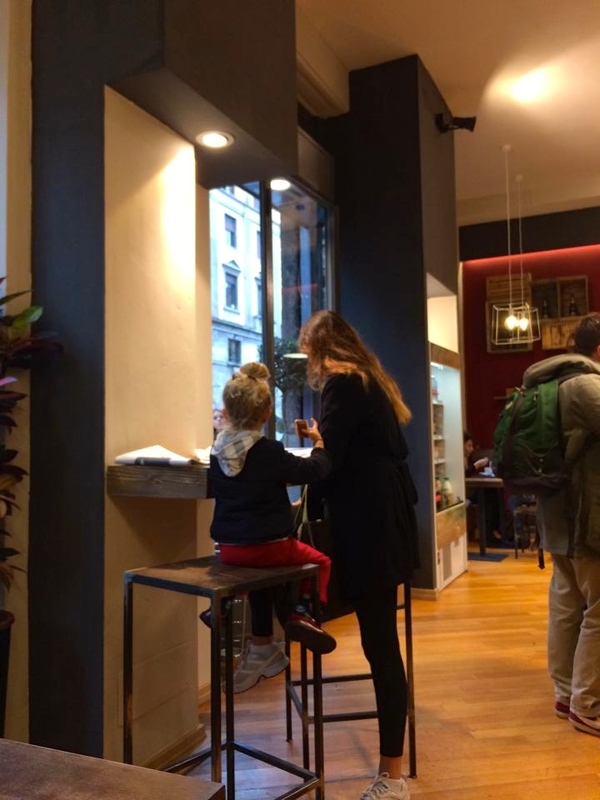 There over in front of where I sat, sitting this little tiny cute blonde girl with her equally nice looking young mom having their breakfast together. She was wearing blue, white and red ensemble with a cute tiny bun on her cute tiny head. That’s the colour combinations I happened to put on today too. Silly me, but I love being a little girl myself and that superficial me just shows its head when it comes to clothes one wears down to toddlers. Today is that combination of colours most Milanese wear. Complicated to explain but that’s the colours. So, here are the pics. And so happens, by the courtesy of The Daily Mail online today, I saw a picture of Kendall Jenner wearing the same colour too so I’ll load her pic up here as well. Red quilted jacket, blue bin bag texture handbag, light blue angora turtle neck sweater, powder pink deep V-neck sweater over it and a dark blue spandex pants with black boots.